Every human being has two different Selves: a “social” Self (the way in which the others perceive a given person), and a “personal” Self (how a certain person perceives himself/herself). Neither of these two is completely “objective” or “perfect”. For instance, you may conceive yourself as an intelligent and ambitious, but for your relatives you may seem rather a mediocre person, with plenty of weak points. There are discrepancies between both images, and it is far from easy to describe yourself in a way, which will demonstrate all of your negative and positive sides. Therefore, to write an autobiography essay seems to be the most difficult assignment for a young person. However, don’t be disappointed: this is a common problem. Not only you, but also your teacher or your professor cannot describe himself in one short paper called “autobiographical essay”. You should simply start out from the presupposition that every single word you write will reflect only your own self-representation, and thus, it will be impartial. Here you will find some pieces of advice for writing an autobiographical essay. Life is full of different events, feelings, experiences, and memories. If you choose some of them, they will be “abstracted” from their natural environment. 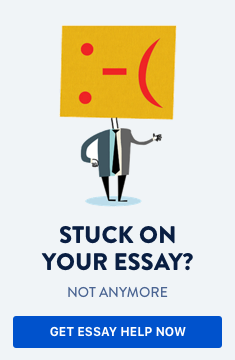 Your essay will sound as a collection of stories, without internal connection. If you write about your personal achievements throughout the whole paper, then you will be perceived as a boaster by the reader. An autobiographical essay should also present the negative side of your personality. Some people are really good in identifying frankness with impartiality. The reader may be disgusted by such effusions. a) Write your autobiography essay only in the special context. If you apply for college, it is necessary to focus the reader’s attention on your academic and social skills. Why are you interested in a given field of knowledge? Why have you chosen the college you are applying for, and not another one? What do you intend to do after graduation? b) Choose some biographical events, which have exerted influence on your way of thinking. Do not just enumerate them; you should rather explain them: why these have special importance for you. c) Write a paragraph about what you don’t like about yourself. What do you want to change? How are you going to change it? Be careful: do not choose to describe the worst things you have done by now; simply say a few words about some of your bad habits (smoking, internet addiction, or lack of knowledge in the sphere of international relations). d) Focus another paragraph on your social activities. Have you ever volunteered? Have you been involved in a youth/student council? Have you launched a social initiative or project? Write it down! Every age, every specific situation requires different autobiographical essays. Remember: don’t “borrow” essays from other people; you don’t live their life. Be yourself, write about yourself, according to all you know about your personality.